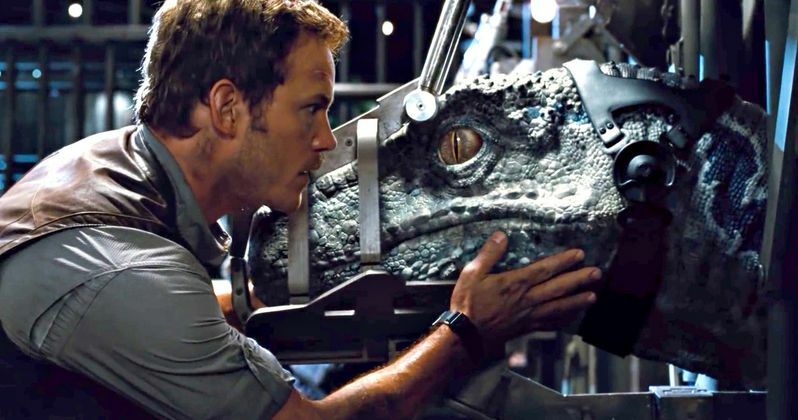 Production on Jurassic World 2 is supposed to begin early in 2017, so we will likely be learning quite a bit about the sequel in the coming months. As a matter of fact, we have been getting choice bits of news from director J. A. Bayona as he has been promoting his new movie A Monster Calls, though it hasn't been anything overly specific. Now, we have a bit of solid news in the form of a casting call that reveals a new central character who will appear in the highly anticipated sequel. The folks over at the Jurassic Park fan site Jurassic Outpost have uncovered a new casting call for Jurassic World 2. The role will be a for a character named Lucy, who will be 9-years-old in the movie. The casting notice was very specific about that, actually. There aren't a ton of details about the character, but here is the breakdown from the casting call itself. "She is a young girl around 9 years of age. The girl playing "Lucy" must be at least 9 years of age by February 2017, but cannot be over 10 years old. She must be a sensitive and clever actress capable of handling long and complex scenes. Lucy must be able to handle a range of emotions from tender moments with her father, to anxiety, bravery, and shock." As of right now, the only two cast members who have been confirmed for the Jurassic World sequel are Chris Pratt and Bryce Dallas Howard. Ty Simpkins and Nick Robinson played the young kids in Jurassic World, but they have not been confirmed for Jurassic World 2. It is possible that this Lucy character could be filling that void if they don't return. Or perhaps she could be serving as a complementary character. Given the casting description, it seems like she will be very important to the movie and not just a minor character, as it calls for the actress to be able to handle "long and complex scenes" as well as handling a range of emotions. While we don't know a lot about specific plot details, we do know a few additional things about Jurassic World 2, aside from the inclusion of this new mystery girl Lucy. We also know that some filming will take place in Hawaii, meaning there will be some classic dinosaur island action. But Colin Trevorrow, who is writing and producing Jurassic World 2 and handing over directing duties to J. A. Bayona, has promised that this movie will progress the story and not just be dinosaurs chasing people around an island. The casting call for the part of Lucy states that filming for the movie will take place from February 2017 to June 2017 in the U.K., so it seems like we may be getting dinosaurs in the real world this time around. Director J. A. Bayona also revealed that the movie will be "darker" and "scarier" than its predecessor. He has also said that the movie will deal with the concept of animal abuse, using the dinosaurs as a way to mirror our treatment of animals in the real world. Jurassic World became one of the most successful movies of all time, grossing $1.67 billion worldwide. Jurassic World 2 will be the second part of a trilogy that Universal and Legendary Pictures are now planning, which is scheduled to hit theaters on June 22, 2018. We will have to wait and see how exactly this Lucy character fits in, but it is clear we will be getting some now additions to the franchise this time around.